Leading weight loss surgeon from India talks about the lap band used in gastric banding surgery, required hospital stay and the band adjustment. Gastric banding surgery involves the surgical placement of a silicone inflatable band, known as realize band, around the stomach laparoscopically. Laparoscopic adjustable gastric banding restricts the food intake in an individual. If required, lap band placed around the stomach can be adjusted. The above shown video gives more information on lap-band surgery. Following is the video narration. “LGB is extremely popular in the US as well as Australia. It’s somehow not very popular in our part of the country and that’s primarily because we do not have too many follow ups but at the same time all those patients who we feel are young, who only require a restrictive procedure, who require the weight loss to be only primarily weight loss and not metabolic problems, there we offer a laparoscopic adjustable gastric band. And the band that we use is a Swiss band which is FDA approved and has been imported with Johnson & Johnson and this is something where the patients, the only problem by using these bands is – the recovery is good, the stay in the hospital is going to be 2 days or 3 days and the patients can actually go back to their own country in 7 or 8 days. They may require the first adjustment after 6 weeks and then subsequently 3 months and 6 months and there may be a yearly adjustment, depending upon whether the patient is adequately losing weight or not. So that is one thing which the patient may need to follow up in their own country since the band may require an adjustment. At times the band may not require an adjustment as well but if the band requires an adjustment then that would have to be done at the place where they live. We have been getting patients from all over the world and primarily we have been getting patients from lot of middle east countries and Africa but we also get patients from the UK, the US and since the hospital and tertiary care center that we have is offering the best of facilities with multi-specialty workup for these patients and having almost all the branches and a very critical care with a very well balanced and large ICU that we have. So as a result these patients are the bariatric patients especially, we tackle the super obese or with the metabolic problems, then these patients require a multidisciplinary approach which we can offer to them. And as a result these patients are very satisfied once they go off from here and we are able to manage most patients in our center. Apart from doing bariatric surgeries we are also doing routine laparoscopic procedures, gall bladders, appendix, all kinds of hernia. We follow very simple principle in our institute that all patients having hernia are fit to be done by laparoscopy, so these are the routine procedure that we do. Lap band surgery is extremely popular in US and Australia. The surgeon claims that the gastric band used for the surgery is FDA (Food and Drug Administration) approved. Its adjustment depends on weight loss, therefore, if required it could be done in the home country as well. Though the hospital stay is 2 days, the surgeon assures that within 7-8 days one can return home. He also specializes in tackling super obese patients with metabolic problems, GI malignancies, appendix and all kinds of hernia. People from many countries like Africa, UK, US and Middle-East have been treated by the surgeon. Due to an affordable cost of gastric or lap band surgery in India, individuals from many foreign countries are flying down here to get their obesity surgery. 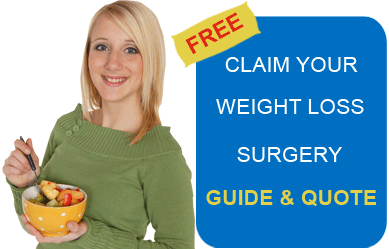 Submit free quote request on the right for cost of the gastric banding surgery in India or other world class destinations.